The Beidou system has been performing well, with its navigation precision improving steadily since it began providing services to users in the Asian-Pacific region on December 27 last year, said Yang Qiangwen, a leading scientist with the China Satellite Navigation Office in an interview with Xinhua. “We are seeking favourable policies and attracting investment to promote the technology for public use,” he said. 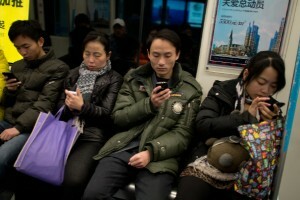 “It will not be long before mobile phones adopt the Beidou system” added Yang. China started to build up its own space-based Positioning, Navigation and Timing system in the year 2000. China has successfully launched 16 navigation satellites and four other experimental ones for the Beidou system. Beidou has so far mostly provided licensed services for China’s government and military users in transport, weather forecasts, fishing, forestry, telecommunications, hydrological monitoring and mapping. The fourth China Satellite Navigation Conference, to be held in Wuhan City of central China’s Hubei Province in May, will focus on the opportunities and challenges for the system’s application, Yang added.